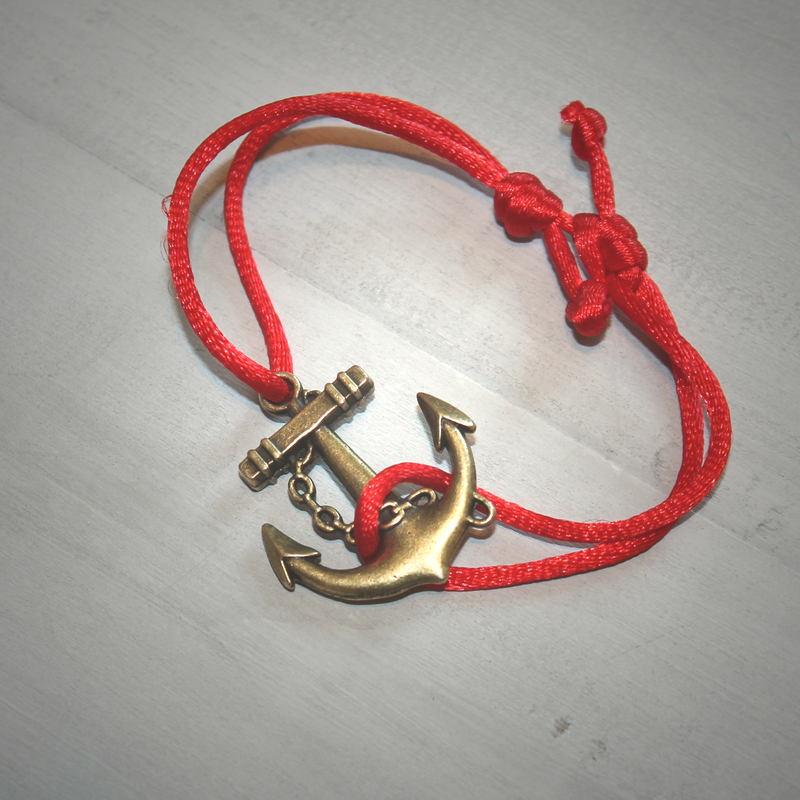 Doodlecraft: Slip Knot Nautical Anchor Bracelet! Slip Knot Nautical Anchor Bracelet! better place I've found to get them than Wholeport! These are thick, sturdy metal. I used satin cord...but Wholeport has lots of cord too. Some leather or suede cord would be cool...anyway. You will need 20 inches. These slip knots will make your bracelet adjustable. Begin by threading the cord through the anchor loop. Wrap it around 3 times. and then through the center of them...then pull all the cords tight. Give it a try...or try it a couple times to get the hang of it. Do on both sides...then tie a little knot on the end of the loose cord. little knots just slide together or apart! Gorgeous! These would be a great TWEEN/TEEN-age craft! Maybe a summer camp...or birthday party! OMG what a pretty bracelet. This is my first time to this site but my friend has told me about your work and you are very very good! I am definitely going to try this!! :) I have been looking for a bracelet like this but the ones I've seen in stores have been expensive. Thread Etiquette is the quintessence of class on the street. We believe that style is limitless and your wardrobe should be an extension of your personality. Thread Etiquette is sharp, edgy and polished. Versatility is key, so take note and master the art of effortlessly evolving from street to tux – we’ve got you covered.